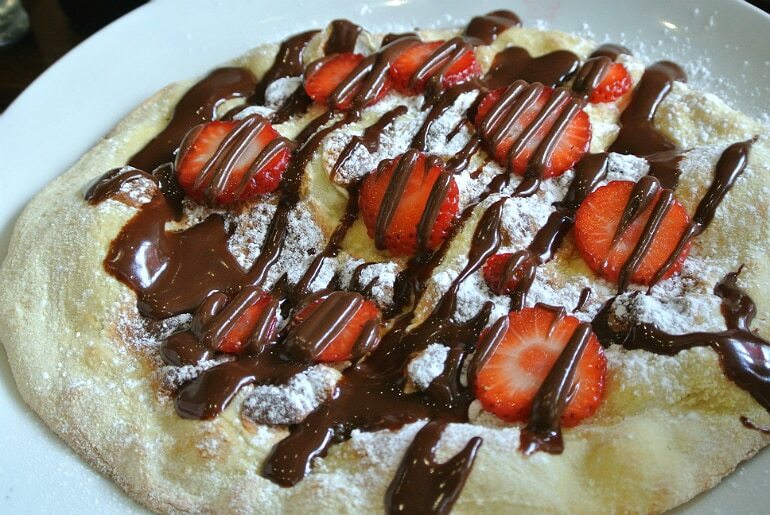 When I saw the Zizzi’s dessert pizza advertised on the Summer menu, I couldn’t help but wonder why this hasn’t been more of a thing before now. It’s just such an obvious idea! Well done Zizzi’s for making it happen, and well done me for winning a little Twitter competition to try one on the house! 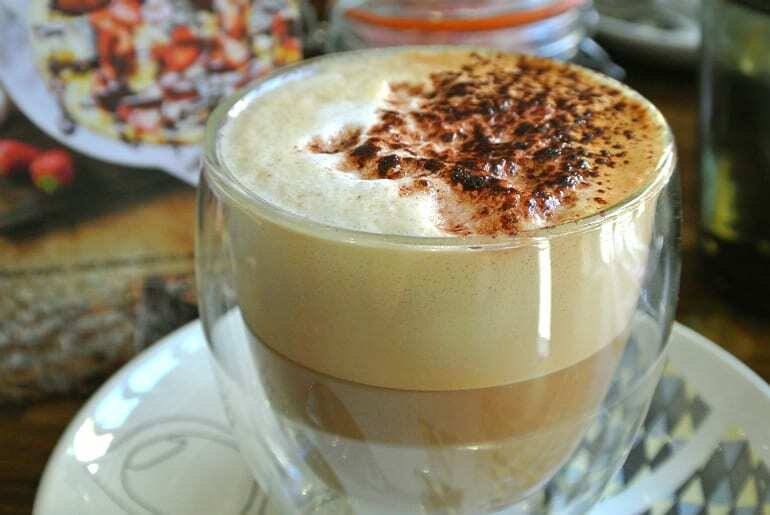 I’ve decided I very much like going out for dessert & coffee, it makes me feel like I’m on holiday. 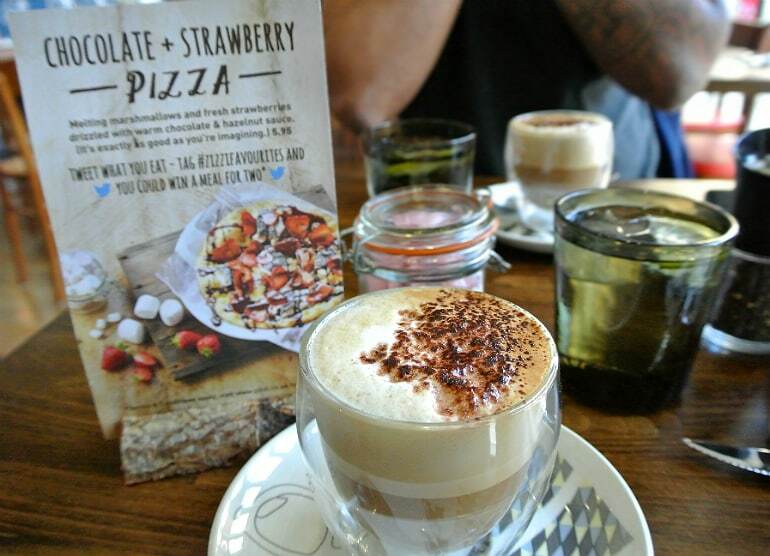 We ordered cappuccinos with our pizza and were really impressed. I’ve never had a coffee from Zizzi before but it was strong and smooth with lots of chocolate on top. Love those insulated glass cups too! Okay, dessert pizza! 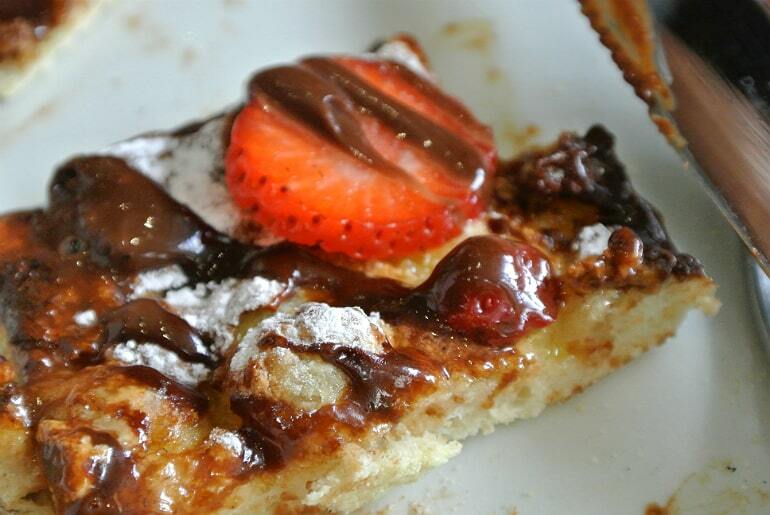 It’s a hand stretched pizza dough base, dusted with icing sugar and topped with melted mini marshmallows, strawberry slices and a healthy drizzle of chocolate sauce which tastes very similar to Nutella. Given the ingredients this is delicious by default, who doesn’t like chocolate & strawberries? It’s nothing fancy, but given Zizzi is a family restaurant it’s perfectly suited to being a sweet & simple crowd pleaser. We certainly polished off ours with no complaints! This is definitely a dessert to share though, you wouldn’t want to tackle this on your own. I can only imagine how difficult that would be if you’ve just enjoyed a pizza for your main course! At £5.95 it makes sense to order one for the table and all get stuck in, fighting over the piece with the most chocolate sauce or the last strawberry!